There are many variables that can impact the flavors of food during cooking and beverages for drinking. 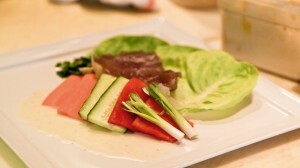 Often overlooked is the quality of water used during the preparation of our favorite recipes. Water, if not purified, introduces competing flavors and/or aromas to the dish and interfere with the flavors of our favorite foods and drinks. Have you ever had a familiar drink taste funny due to the quality of the ice? Whether using water to make ice or as a mix in favorite drinks, the quality of the water can determine the end flavor. 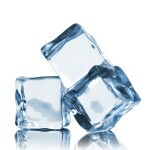 Ice eventually melts, creating an added flavor to your drink and possibly making the flavor unfavorable. Create purified water and ice for pennies a day with a reverse osmosis system. When boiling pasta or steaming vegetables the impurities in your water can linger and attach to your foods. If all of the impurities are removed from the water it allows the true flavor of your foods to be distinguished. We drink purified water, why not cook with it? Professional Chef Steve Shimoler states “The only way I can guarantee crisp, fresh, pure flavor is with pure Kinetico water”.